Why do I need a lawyer to settle my divorce? No one plans for divorce. It’s an event that is unanticipated, unforeseen and, most certainly, unaffordable. Moreover, legal fees are very expensive. Some people have to work anywhere between one day to one week in order to afford one hour of a lawyer’s fees. At this expensive rate, there is a tendency among spouses to attempt a divorce settlement on their own. I recently had a case where the couple separated seven years ago. In the meantime, they decided to sell their home. By the time the home was sold and the money paid into the real estate lawyer’s trust account, both spouses were eager to access the proceeds of the sale by dividing it in half and going their separate ways. The problem however was that the wife had a pension that she had accumulated for 30 years. The husband would have been entitled to an equalization of her pension, either by having the pension divided at source or by having a greater share of the money from the sale of the home. As a result of the husband not seeking legal advice, his limitation period of six years expired. He lost his right to receive half of his wife’s pension. She ended up receiving half of the money from the house, plus the entirety of her pension. There is nothing wrong with spouses attempting to negotiate divorce settlements. They may be able to reach an agreement on most, if not all, of the issues. But unbeknownst to many of these individuals, divorce law and the legal rights that the law grants to each spouse is highly technical. It requires an understanding of complex legislation, a history of case-law and technical rules of procedure. Lawyers are familiar with these elements and trained at identifying the spouse’s legal rights. Lawyers also have expertise in protecting the spouse’s legal interests by drafting agreements that avoid errors and omissions. Doing so without the help of a lawyer puts the spouse at risk. Most divorce settlements are reached outside of court, often in a lawyer’s offices. 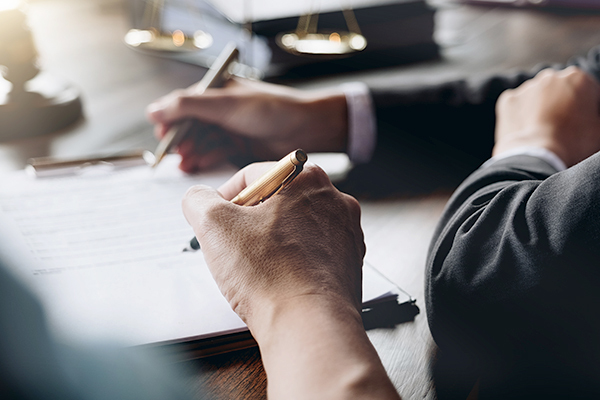 The process starts with the exchange of financial information and the identification of legal rights, leading to the negotiation of a divorce settlement, and ending with the parties signing the Separation Agreement. However, some cases require the involvement of a family court judge. In those cases, it is without doubt that spouses require legal representation by divorce lawyers. In addition to knowing the law, lawyers are also familiar with the courts, the system and the judges. That is, they are accustomed to the way judges may be inclined to rule when presented with settlement positions. Divorce settlements are complex creatures of law. If divorcing spouses choose to draft their own, it is essential that they understand what should and should not be included. Spouses usually only divorce once and when they do, they are dividing a lifetime of assets and income and planning for a future relationship with their children. It is for this reason that it is prudent and responsible to seek legal advice and representation by a divorce specialist.